There now Winter is here. We had our first Snow this Saturday. I am not too fond of winter. The thing I hate about winter is bundling up the kids in layers to even go to the grocery store. A simple task takes hours in just preparation. Coats waiting to be zipped, leggings to be worn, the cap messing the hair, the car seat now gets uncomfortable, the two young things shout out protests, the thought itself drives me nuts. I like winter as long as I am allowed to stay inside. Inside the home it is warm and cozy and you truly start appreciating what "warm and cozy" means. Such was this Saturday, snowing in white fluffs outside while we sat in the warm glow of the fireplace, eating hot hot Mirchi Curry. This curry is inspired by Nupur's alu dum which again was inspired by Trupti's alu dum recipe. Instead of potatoes I decided to use long hot peppers in the creamy curry. Some heat to warm up the palate. 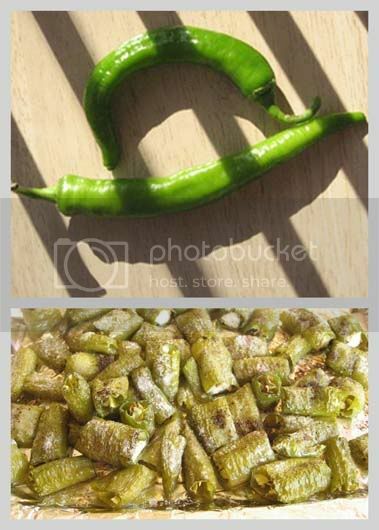 Ok truth be told I wanted to make a Mirchi ka salan like this or this. But then except for the long hot peppers I had no other ingredients. But I still desperately wanted to have Mirchi in a Curry and so in a fit of inspiration used Nupur's curry as a base for the beautiful hot peppers. Cut 8-10 long hot peppers in 4ths each(i.e. each cut in 4 ). Sprinkle salt and pepper, drizzle with olive oil and roast in one single layer at 375 for 30-40 mins.Note: These are my toaster oven settings and time may vary in a regular one. Take care not to burn but just brown the peppers. More on roasting long hot peppers. Add 1 tsp Kasoori Methi, Turmeric, salt and a little Paprika for the color. Mix well. Add the roasted long hot peppers and cook until the gravy thickens to a creamy consistency. Add a little sugar to taste, a little garam masala and very little chopped corriander. Serve with Roti or Rice. It is fiery hot but in a pleasant way. This is one hot deal! 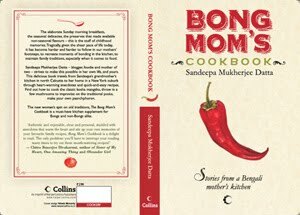 He he, and in our family men always hate to have spicy food while women have always been big fans of curries such as the one you posted :). Definetly we should love this type of heat in winter days! After a decade, Northern CA got some snow today - I was happy to see those white mountains after 5 years! We had the first snow of the season here today too. I totally agree with you when you said that winter is good only when you to stay inside and really appreciate what 'warm and cozy' means! I am not a big fan of winter too. Steaming rice and mirchi curry... um! Why I'd even dunk some crusty french bread in this curry and call it a meal! Forget a 2 year old even my 6 year old would not eat this :-) See I said "enjoyed by all barring the kids"
My side of the family is not at all fan of spicy food, the hubby's side is though. looking and feeling hot, hot hot! Very nice recipe!! Try Korbo...but I don't have any almonds, quite expensive here :-). In my engineering college hostel, I used to feel sad to see some friends could not eat food even if it had very little chili. People who go to south India, face this problem as no eating joint will give a reasonably low chili dish. The dish sounds similar to Hyderabadi Mirchi Salan which I had at Khane Khas ages back. I wouldlove to have thos hot chillie curry, but i think if i make them my daughter and hubby will run a mile. They do love spicy food, but i think this on would be going a bit far for them. eyi ta ki hebrano diye O banate para jaye ...thanda r dine garam bhate hot mirchi curry khete bhalo lagbe :)..
A nice twist to aloo dum. they use peanuts in michi ka salan, you have substituted almonds - all the same. Kids were ecstatic at the appearance of the first snow. Me not too much. Thoughts of driving in the snow make the rounds in my head as it is falling down. The roads were not as bad as I dreaded them to be. "Long hots are not too hot" Why does that want to make me ROFL? 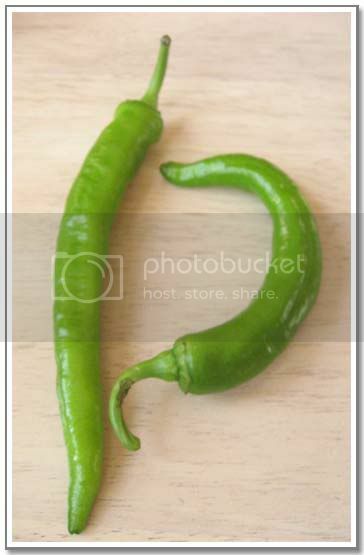 I recently made a mirchi ka salan with long and fat hots believing in the above statement and boy, was I proven wrong!!! Hi, I'm Bengali and live in Netherlands as a graduate student .. and thanks to your blog that I stumbled upon a few days back while surfing the net for Macher Kalia .. I was in for such a treat! Your blogs are so amazing .. they remind me of home too! Thank you a lot. you're like me... I bring the chillies home hoping to make mirchi ka salan...but I make some curry each time. I like this curry you've made. we left NJ for all the reasons that u mentioned here ;-) 20 minutes in the foyer to get out and another 20 when you come in. more like pants on fire !!!! 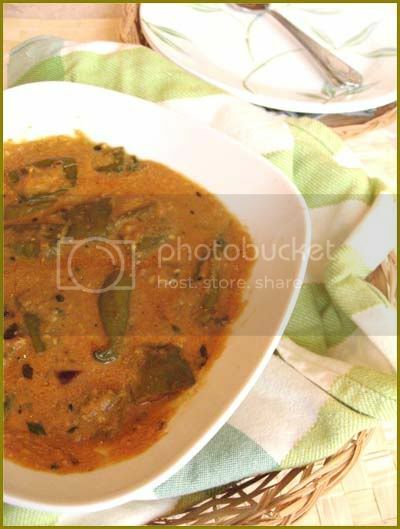 I love mirch ka salan and I must try this variation too.